There's no arguing that Tim Duncan is a Hall of Famer. And he's got a ring each for some of the most exciting players in the game (one for Mr. Drexler, Mr. Barkley, Mr. Miller, and Mr. James). But they don't call him "Mr. Fundamental" for nothing. From his signature bank shot to his slow, methodical post-up game, Duncan has been killing them softly for a decade and a half. 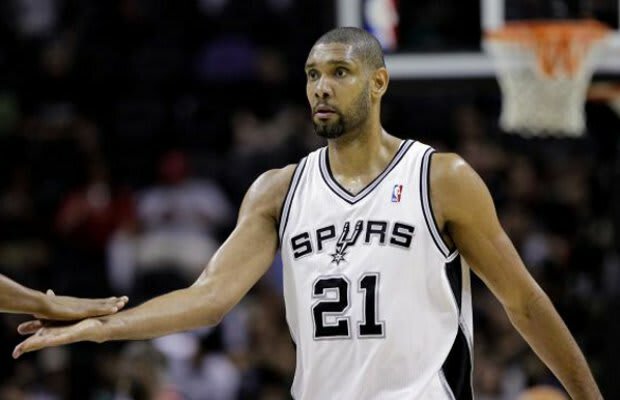 That said, even though he isn't the type of player that folks pay top dollar to see out on the court, Timmy just knows how to win—he can put up some solid numbers while putting countless kids to sleep in the process.